Cataracts cause vision problems and blindness in tens of millions of people worldwide. So far, the only treatment is surgery. Now, new research led by opthalmogologists and engineers at UC San Diego shows a promising alternative treatment using eye drops made from a naturally occurring steroid in the human body. Cataracts form when proteins in the eye lens, called crystallins, become malformed and clump together, clouding vision. The crystallin proteins malform either from aging, environmental factors, or genetic mutations. In this study, researchers identified a root cause for cataract formation and demonstrated a new potential remedy that doesn’t bring patients under the knife. The team, led by Kang Zhang, a professor in the Department of Opthalmology and affiliated with the Department of NanoEngineering at UC San Diego, came up with the key ingredient for the eye drops after genetically screening children from two related families with an inherited form of cataracts. The studies revealed that these children share a genetic mutation that shuts down the production of lanosterol, a steroid that’s normally present in cataract-free eyes. With this finding, the team investigated whether lanosterol helps to prevent or clear up cataracts. The researchers tested lanosterol on dogs with cataracts, first with an eye injection of lanosterol-loaded nanoparticles, followed by daily treatment with lanosterol eye drops. Over the course of six weeks, they observed that the cataracts in the dogs had decreased in size. The lanosterol eye drops also reduced cataracts in human lens cells and rabbit lenses, which were both grown in Petri dishes. Dog eye lens with cataracts before lanosterol treatment (left) and after lanosterol treatment (right). Photos courtesy of Zhao et al./Nature. NanoEngineering professor Liangfang Zhang, a co-corresponding author on the study who worked on developing the lanosterol-loaded nanoparticles, said that the researchers are aiming to move this study to clinical trials. The findings were published in the July 30 issue of Nature. Each quarter, the von Liebig Entrepreneurism Center’s I-Corps program continues at full speed, connecting students with the Center’s business and technology mentors and helping teams get ready to launch their products into the marketplace. During the 2014-2015 academic school year, the program had over 60 applicants express interest. 31 teams completed Phase I, offered in the Fall and Winter, and 25 teams completed Phase II, offered in the Winter and Spring. After graduating the von Liebig I-Corps program, two teams from the 2014-2015 cohort were accepted into the National I-Corps Program in Washington D.C., while others demonstrated their skills by competing in campus-wide, statewide and national competitions and taking home cash prizes and awards. The Center is excited to see the I-Corps program expand and very proud of their teams and all that they have accomplished. 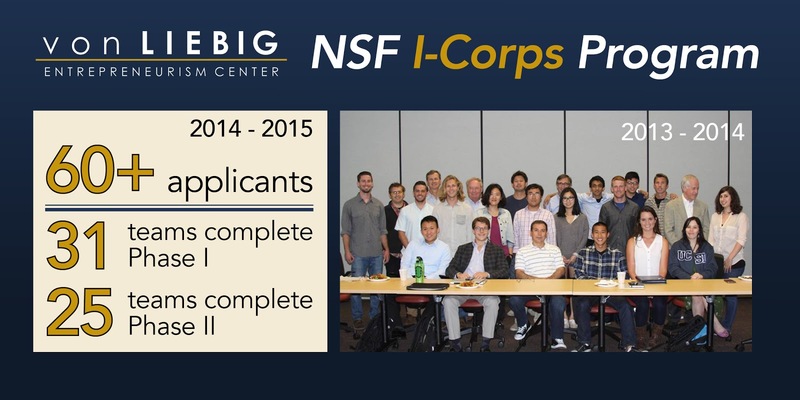 The von Liebig I-Corps program is modeled after the National Science Foundation’s Innovation Corps program, with two phases for teams to develop their business models. To offer flexibility and more mentoring to their students, the Center allows the accepted teams to decide whether they want to continue onto Phase II after completing Phase I of the program. 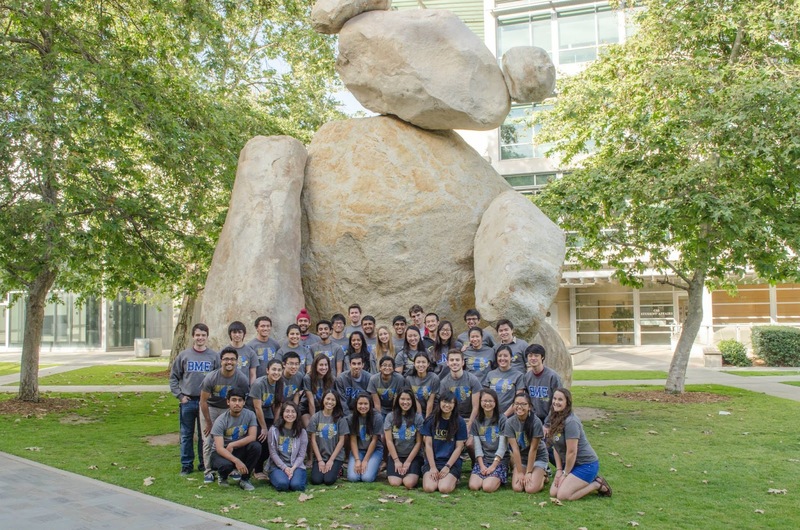 The von Liebig Entrepreneurism Center gladly welcomes UC San Diego students, staff and alums to apply to participate as a Phase I team in its the I-Corps program in the fall and join our network of mentors and entrepreneurs. While the hard work does not end here, we know it won’t be long until this cohort’s projects and ideas hit the market. Until then, we’ll let you take a peek at what many of our teams have been working on. I-Corps Program in Washington, D.C.
Wearless Tech Inc., Intraocular Pressure Sensor, AMDepot, HeatSeq, Meego, Wastelights, Gyroscopic Ocean Wave Energy Converter (GOWEC), PlasmaCaps, 3D Organ on a Chip, EMERES: Cyber System for Structural Health Monitoring, Data Intelligence, Enzyme Diagnostics, MuDetect, Pressure Sensitive Touchscreen, Open Topography, SciCrunch and FRET Biosensors became experts at developing business models and are well-equipped with customer insight, mentor advice and industry connections to aid them in their next steps forward. These teams have completed the both phases of the program for a combined sixteen weeks of instruction and mentoring. Team members Pavan Kumar Pavagada Nagaraja, Sivakumar Nattamai and Rubi Sanchez founded Wearless Tech Inc,. a company that further developed their project Cocoon Cam: Wearless Smart Baby Monitor in the I-Corps program with mentor Dennis Abremski, VP of SoCal EED, Inc. Cocoon Cam is a wearless (non-contact), network-connected baby monitor designed for parents looking for a simple, secure way to monitor their newborns. 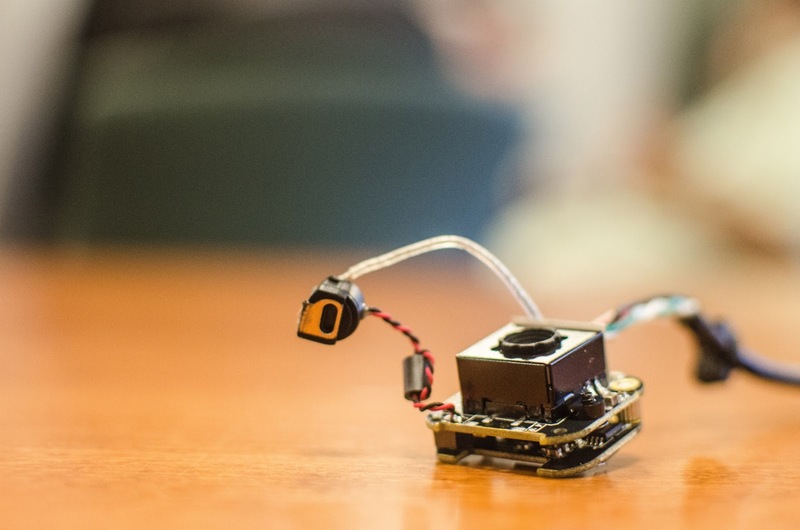 The device uses machine vision to measure heart and respiratory rate and infrared sensors to detect skin temperature. After completing the von Liebig I-Corps Program, the team went on to complete the National I-Corps Program in Washington, D.C.
AMDepot (not pictured) took home 4th place. Mechanical Engineering graduate students Alex Phan, Yung Seo and Ben Suen of the Oculux (formerly Intraocular Pressure Sensor) team developed a novel implantable pressure sensor that allows continuous monitoring and enables physicians to personalize treatment plans for patients and better preserve their vision. The team explained that glaucoma is an incurable eye disease that affects 60 million people worldwide, and the lack of frequent eye pressure measurement prevents successful treatments and increase in total blindness. 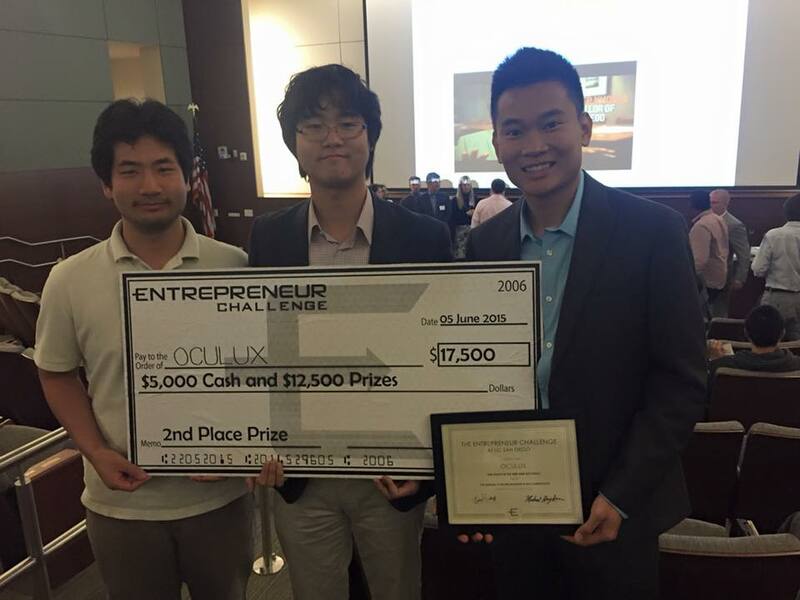 Oculux took home second prize at Entrepreneur Challenge this year and was also recently accepted into the Fall 2016 Cohort of the National I-Corps Program. Mechanical engineer Wangzhong Sheng and nanoengineer Viet Anh Nguyen Huu of AMDepot developed a drug delivery vehicle that releases therapeutic amounts through a single injection of a depot that is activated by biologically benign flashes of light. AMDepot’s method reduces the frequency of injections needed, as well as allows noninvasively controlled dosing. AMDepot explained that the estimated global healthcare cost for eye-related diseases is well over $250 billion and that one of the most severe diseases, the wet-form of age-related macular degeneration (wet AMD) affects 2 million Americans and can lead to severe and sudden loss of vision. The current treatment for AMD requires monthly or bi-monthly injections of drugs into the eye, which can lead to complications with each injection. 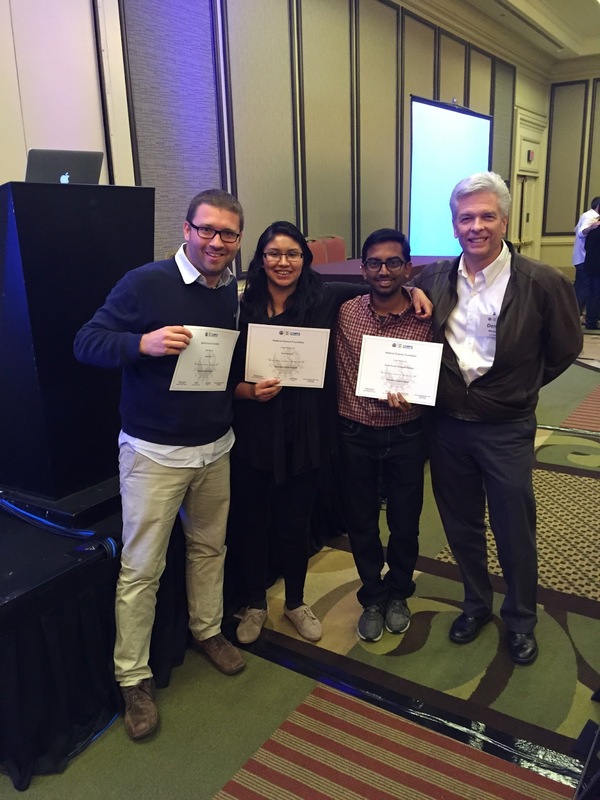 AMDepot also took home fourth prize at this year's Entrepreneur Challenge. HeatSeq team members Dustin Fraley and Stephanie Fraley developed an integrative technology that allows for rapid, automated, and highly accurate DNA profiling from a single precious clinical sample. “We are developing this technology for use in personalized medicine, where there is a need for more comprehensive molecular analysis of DNA for profiling diseases and drug efficiency,” wrote the team members. Meego team members Delara Fadavi, Aditi Gupta, Ian McNair, Sammie Wang, Oscar Guerrero and Katya Grishna explain that stolen laptops, in the United States alone, account for $2.1 billion in losses annually and that most thefts occur in public places or during travel. The team aims to deter laptop theft through their small, mountable portable device that will sound an alarm when unanticipated motion is detected and notify owners via mobile alert if their Meego has been activated. The Wastelights team took the hard reality that the world has an abundance of waste, but not enough electricity, and served up a solution. Team members Joyce Sunday and Nitya Timalsina developed their second prototype of a device that eliminates waste by converting it into electricity and biochar. Wastelights’ constructed prototype is able to reliably provide energy and eliminate waste without combustion at low cost and maintenance. During the program, Wastelights was able to generate transnational interest and conduct interviews from abroad. 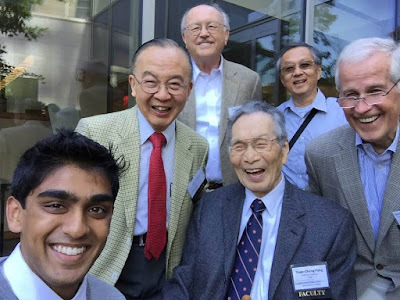 Graduate student Rajaram Narayanan and Prabhakar Bandaru, Ph.D. of the PlasmaCaps team designed a powerful energy technology that improves energy density capacitors. PlasmaCaps was accepted into the accelerated National I-Corps program in Washington D.C. and plans to continue improving their design. During the program, the team was mentored by Kai Wenk-Wolff, M.B.A., conducted customers interviews and incorporated feedback into their redesign. The 3D Organ on a Chip team recognized that too many drugs pass cell based testing on to animal testing and that pharmaceutical companies spend $1-3 billion on each drug when bringing them to market. After conducting 23 customer interviews, team members Aereas Aung, Gaurav Agrawal, Ivneet Bhullar and Han Liang Lim identified a specific market niche and verified a need for their platform to reduce the time and cost of preclinical studies. Structural Engineering Ph.D. candidate Hamed Ebrahimian presented EMERES: Cyber System for Structural Health Monitoring, his low cost system for rapid health monitoring and damage analysis of offshore platforms. Ebrahimian explained the need for their technology, noting that platform structures age, are expensive and often fail. His automated resident monitoring system would replace inspection process of platform structures, while its mechanic space model is trained to pinpoint damage, location and other detailed information that inspections cannot provide. Siarhei Vishniakou, Cooper Levy and Conor Riley make up the Pressure Sensitive Touchscreen team who want to expand traditional touchscreens’ limited capabilities. “Most touchscreens can only detect location, and cannot sense how hard the user actually pressed” explained the team. Their product is a touchscreen that can determine the intensity of a user press for music, medical and gaming applications. During the program, the Pressure Sensitive Touchscreen team conducted over 20 customer interviews, saw a great fit in the market and found their biggest competitor. Augusta Modestino, Ph.D. and Ph.D. candidate Elaine Skowronski make up the Enzyme Diagnostics team that hopes to fill the gap within in vitro diagnostics, so that data can translate from high-throughput volume labs to point of care systems. During their presentation, the team explained that diagnostics are the silent champion of healthcare and that there is a need for better result comparisons for in and out patients. The Data Intelligence team from UC San Diego’s Math Department created a novel technique for data extraction, allowing users to merge databases and cross reference data for improved predictions. During the program, team members David Meyer, David Rideout, Asif Shakeel gained insight into how and where their product would fit best in the market. Matt Walsh and Aric Jonejah, Ph.D. of the MuDetect team created a simplified analysis system that only detects relevant mutations to reduce both cost and supply of clinics and labs. During the program, the team learned how to identify and target customer segments and define their value proposition. OpenTopography team members Vishu Nandigam and Chris Crosby developed an improved high resolution dataset and software tool for processing data using a cloud hosted solution with web based software and an interactive map interface. Their workflow-based system provides a significantly more efficient solution for distribution and processing of massive datasets. The SciCrunch wants to accelerate biomedical research by means of an open access “data ocean.” Team members Anita Bandrowski, Ph.D., Jeffrey Grethe, Ph.D., Maryann Martone, Ph.D. and Andrea de Souza, MBA want to develop a platform that makes data accessible easily findable, interoperable and reusable. Throughout the program, the team conducted customer interviews that helped them identify the market’s segments and customers and analyze its competitors. NanoEngineering professor Joseph Wang makes the list of the 669 highly cited scientists in the world! Each scientist on this list has an h-index greater than 100. A ranking based on the Google Scholar Citations database shows that Professor Wang is in the top 200 with an h-index of 123. Sigmund Freud tops the list with an h-index of 251. Over the past two decades, Wang has been recognized as "the most cited engineer" and has been named as one of “100 Most Influential People” by the magazine Analytical Scientist in 2013 and one of “The World’s Most Influential Scientific Minds” by Thomson Reuters in 2014. More information can also be read here. The boxfish gets its name from its boxy shape. The boxfish’s unique armor draws its strength from hexagon-shaped scales and the connections between them, engineers at the University of California, San Diego, have found. The boxfish’s hard frame and flexible body make it an ideal animal to study for inspiration for armor materials. The hexagon-shaped scales are called scutes. They are connected by sutures, similar to the connections in a baby’s skull, which grow and fuse together as the baby grows. Each hexagonal scale, or scute, has a raised, star-like structure in the center that distributes stress across the entire surface. Under the scutes, the team found an inner layer that forms a complex structure in which collagen fibers interlock. This structure creates a flexible inner layer in the armor, which is difficult to penetrate due to the interlocking collagen fibers. Together, the outer and inner layers of the boxfish armor provide the fish with protection unique in the natural world. The boxfish's carapace (or shell) is composed of several hexagonal scutes that provide body support and armored protection (center). These scutes are connected by tooth-like joints called sutures, which provide some level of combined strength and flexibility (right). Credit: Michael M. Porter/Clemson University. The team also tested the scutes’ ability to withstand tension by pulling them apart both horizontally and vertically, as well as their ability to withstand penetration. “We were able to demonstrate that even if a predator manages to generate a crack in the outer layer, the collagen fibers will help to prevent the structure from failing,” said Yang. Her current research focuses on the characterization of bio-inspired materials. Meanwhile, the connections between the scutes, called sutures, make the armor even stronger. Upon impact, the sutures’ zigzag patterns essentially lock in and keep the scutes from breaking apart. These sutures are different from many of those found elsewhere in nature, Naleway said. Read more about the boxfish's sutures and their applications here. With over seven committees, BMES has different areas of focus, such as coordinating research opportunities and educating about specific STEM fields. 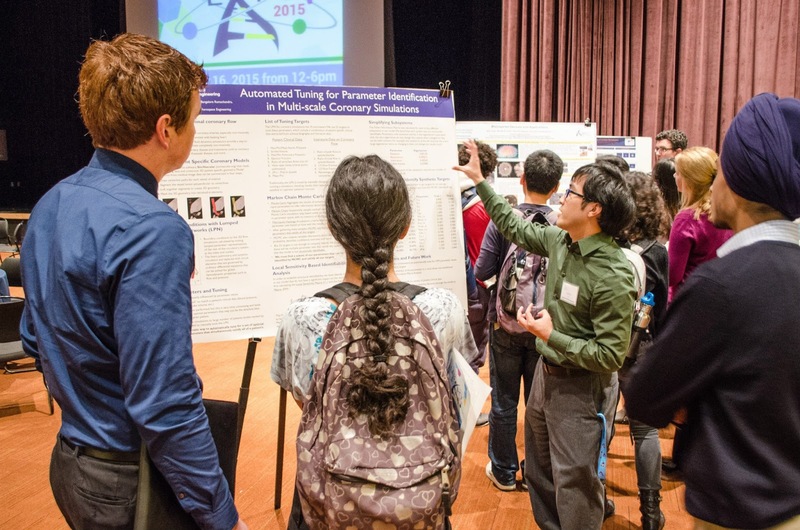 The Lab Expo and Project Team Committees work to provide a mix of research opportunities, in bioengineering, biology, and even electrical engineering. The Lab Expo Committee plans the yearly Lab Expo, a showcase of different UC San Diego research labs and positions, linking students directly to potential opportunities. In addition, the Project Team Committee facilitates research project teams, four to five people in size, for which students can apply and gain hands-on experience. 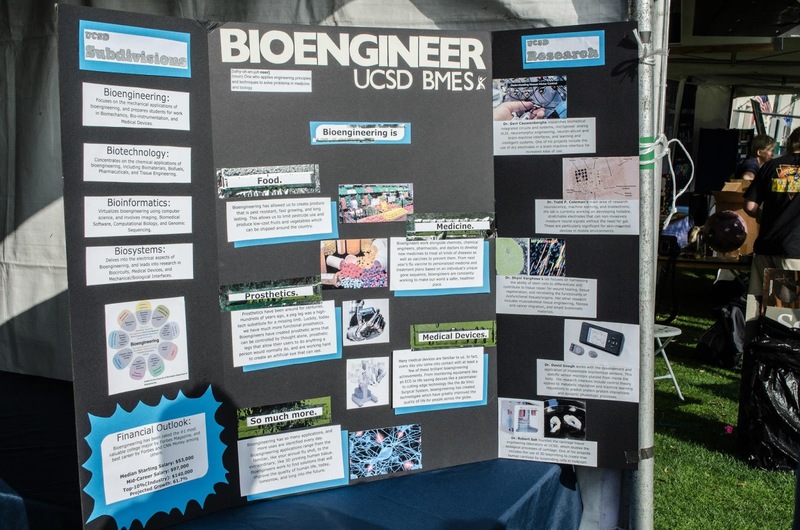 In terms of developing more awareness of STEM fields, the annual events Bioengineering Day and Translational Medicine Day both serve to educate students and guests in these fields and to feature current research being done by graduate students and professionals. Both events have their own respective committees as well. 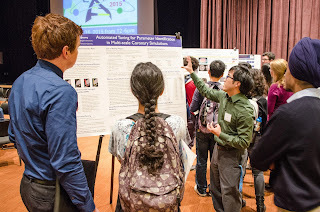 In particular, Bioengineering Day also provides a “great chance for undergraduate students to talk to the faculty in a more relaxed environment.” Also, Translational Medicine Day is still new, as the first annual event took place earlier this past May, providing exposure to this thriving biomedical field: a way to bridge the gap between the medical research and actual application of such research. What really brings BMES and its members together is the Mentorship Program, led by the Social Committee. Small groups of one upperclassman mentor are matched with a few underclassmen mentees. BMES 2015 VP External Vikash Morar states, “These mentors can assist their mentees with planning their classes, picking their professors, getting lab positions, and answering any other questions that the underclassmen may have with bioengineering or university in general.” Furthermore, the mentors and mentees develop into friends and do more than work together. For many, BMES has served as a second family, a group of people who are guaranteed to “be awake at 4 AM to study with” and who are willing to talk and listen for endless hours about more than just college. “Each individual in the organization brings a different perspective and everyone collectively cares about each other’s successful progression personally, academically, and professionally,” according to 2015 VP Finance Anurag Coramutla. 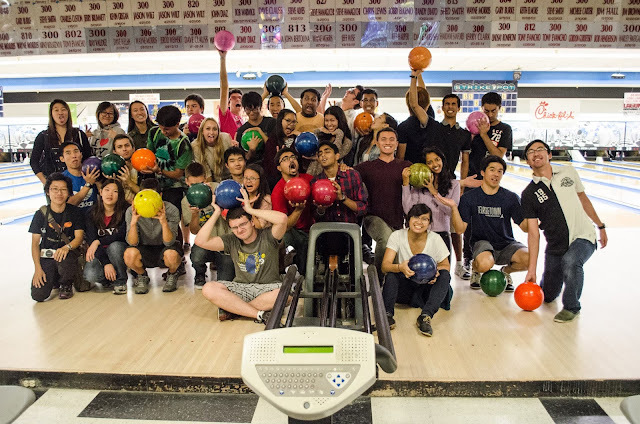 Outside of its own community, BMES and its members are heavily involved in community service amongst the greater San Diego area through the Outreach Committee. This particular group implements projects to educate middle and high school students about bioengineering, from presentations to featuring hands-on demos. 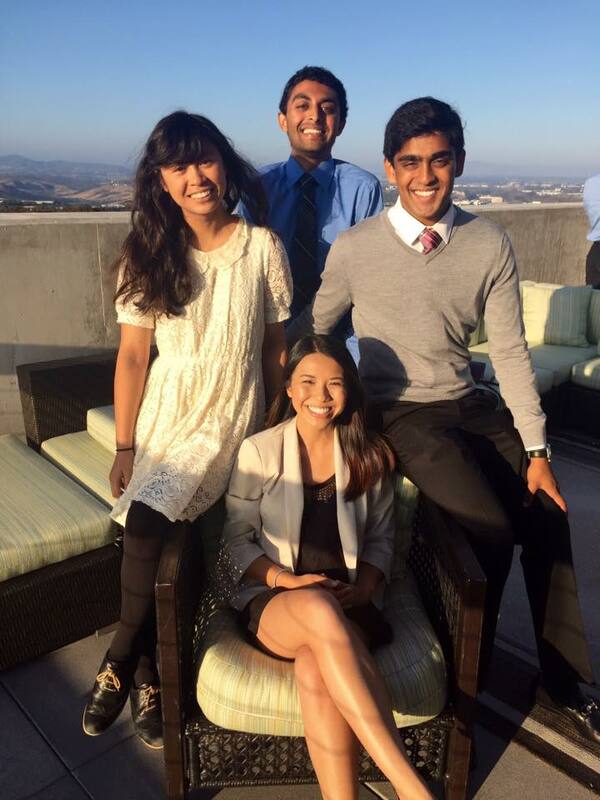 In addition, they have plans to create a tutoring program specifically designed for bioengineers at UC San Diego. 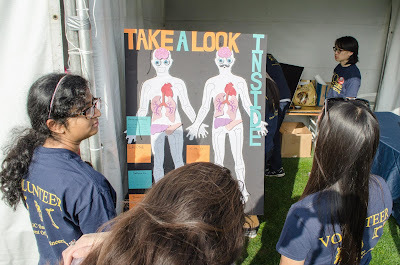 BMES also volunteers at major community events, such the Leukemia and Lymphoma Society’s Light the Night Walk and the San Diego Festival of Science and Engineering. During this past school year, BMES officers decided to create another temporary committee for creating videos, in particular for the National Academy of Engineering (NAE) and its E4U Video Competition. With their committee, BMES members have produced a video entirely under their own imagination and commitment. All components, from scripting to animating, from editing to voice acting, have been student-made. Last year, BMES won $5000 under the title of People’s Choice, and they are in the running for the award again. To win, they need the votes, so if you would like to support BMES and their video, “Engineering for a Better Future,” like the video on Youtube. You can also check out other nominated videos following the competition’s theme of “highlighting how engineering will create a more sustainable, healthy, secure and/or joyous by addressing the NAE Grand Challenges for Engineering.” Go BMES! 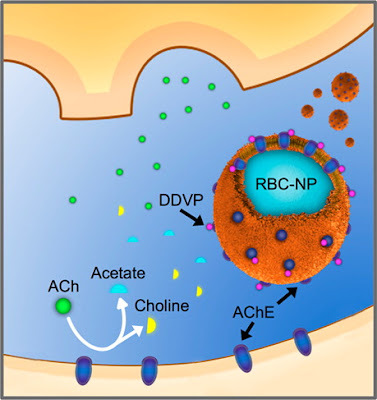 Scheme depicting the detoxification of a nerve agent, DDVP, by a nanosponge, which is a red-blood-cell-coated nanoparticle (RBC-NP). Figure courtesy of Professor Liangfang Zhang and the American Chemical Society. These tiny particles can combat poisonous snake bites and antibiotic-resistant bacterial infections. Now, researchers show these particles can also provide protection against chemical weapons. Nanosponges developed in the lab of NanoEngineering professor Liangfang Zhang at the University of California, San Diego may one day offer a range of new life-saving treatments. Zhang and his research group recently reported that their nanosponges increased the survival rates of mice exposed to a widely-used insecticide called DDVP, which is a toxic nerve agent. The nanosponges detoxify DDVP molecules in the blood stream by intercepting them before they attack their real targets: red blood cells. Each nanosponge is a nanoparticle coated in a red blood cell membrane. This coating lures DDVP molecules to the nanosponges and inhibits them from causing damage throughout the blood stream. The findings were published in the journal ACS Nano. Previous studies from Zhang’s research group have demonstrated that nanosponges are also effective at removing a variety of other harmful toxins from the blood stream, such as those produced by MRSA bacteria, E. coli, snake bites and bee stings. Read more about nanosponges here. It's not every day that you get to explore the jungles of Guatemala as an undergraduate or graduate student. But that's exactly what students in the Engineers for Explorations program get to do every year. They are led by computer science professor Ryan Kastner and Qualcomm Institute research scientist Albert Lin. 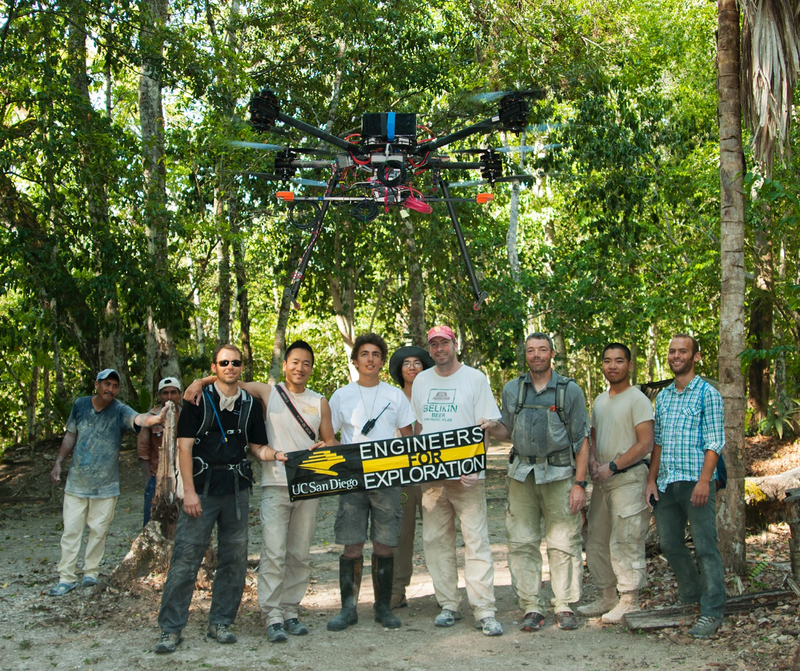 Kastner and Lin in turn work with USC archeologist Tom Garrison, Edwin Roman-Ramirez of UT Austin and Jason Paterniti of the GEOS Foundation. The goal of the yearly expeditions is using drones equipped with LIDAR to find new Maya archeological sites and help document existing sites. Researchers also hope to develop new technologies to speed up data gathering at archeological sites. You can find out more about last year's expedition here. Every year, new and innovative products emerge from the Jacobs School – this year alone, we’ve seen everything from smart earplugs to a toy robot that teaches kids to code! Our close partner, CONNECT, an organization that helps create and scale great companies in the technology and life sciences sector, has found a way to recognize some of the great innovations coming out of San Diego with their Most Innovative New Product Awards. The Most Innovative New Product Awards are to San Diego’s innovation industry what the Academy Awards are to the movie industry. CONNECT’s largest and most prestigious event attracts more than 700 of the region’s top business leaders, researchers and capital providers. UC San Diego born and bred Electrozyme LLC (now biolinq) won this award last year for their ProFit SE Real-Time Sweat Electrolyte Sensor – and we want YOU to nominate your product! But hurry, the deadline is fast approaching! Save the Date – December 1, 2015! Registration for the 2015 MIP Awards Dinner coming soon. You won’t want to miss this the chance to compete for the exclusive title and honor of being named one of the most innovative new products in San Diego. Click here to go to CONNECT's website and nominate your product today! MiPosaur, a robot born of the collaboration between toymaker WowWee and the UCSD Robotics research group, is now available to pre-order on Amazon.com. MiPosaur is a self-balancing robotic dinosaur and responds to hand gestures as well as commands made via a smart phone app. I can follow a ball, dance and, of course, roar. UC San Diego’s Formula SAE team, Triton Racing, placed 24th overall out of 80 teams at the annual Formula SAE competition, held this year at Lincoln Airpark in Lincoln, Nebraska June 17 to 20. 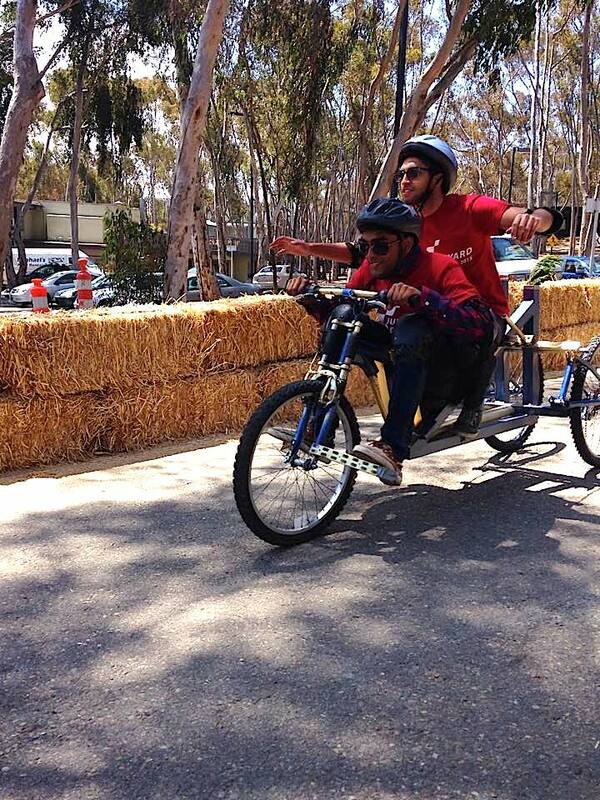 This is better than a UC San Diego team has ever done in competition. The competition included a number of events. On Friday, the team competed in the Skid Pad, Acceleration and Autocross events. The part that broke wasn’t one that the team had on hand in their stash of spare parts since they had machined it themselves. Luckily, the students were able to network with other teams and in doing so, got in contact with Speedway Motors, a local company with a machine shop. 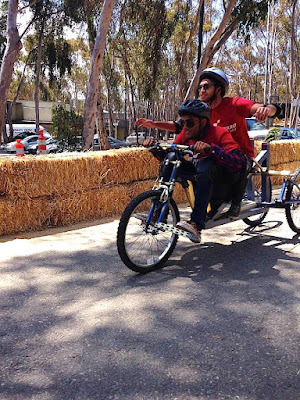 After putting the wheel back on, the team was prepared to compete in the Endurance event on Saturday. The result? The same wheel came off, preventing the team from finishing the Endurance leg of the competition. The team learned a lot, says Fenaroli, about design processes. Overall, the team worked really well together, said Fenaroli. Triton Racing placed 9th in the Business Presentation and 2nd in Efficiency, earning them a trophy for the first time. For more on this year's car, click here. Bill Griswold during a talk. The research group of William Griswold now boasts two alumni who have written For Dummies books. We're ready to bet that's a pretty unique occurrence. The most recent tome, "Minecraft Modding for Kids" was co-authored by two Ph.D.s in Griswold's group, Sarah Guthals and Stephen Foster, as well as biochemistry Ph.D. Lindsey Handley. The book was released July 13, 2015. In 2013, the trio co-founded ThoughtSTEM, a company dedicated to teaching students in elementary, middle and high schools how to program. Last year, they launched LearnToMod, a software package that teaches users how to program while playing Minecraft. Spleef: build an arena paved with blocks, which disappear every time every time players step on them. The goal is not to fall. Players can add other challenges to the game, such as creatures blocking their way. Monster Arena: build an arena full of monsters. Players need to avoid the monsters to get through to the other side of the arena, where they break a block. They are then sent back to the starting point of the game, which gets even harder. Capture the flag: create magic wands that can emit exploding projectiles. Players then need to use the wands to destroy their adversaries’ flags, while protecting their own. While they create the mini-games, players learn computer science concepts such as functions, variables, lists, parameters and libraries. The book also includes information about game design and game mechanics. Meanwhile, "Android App Development" is in its third edition. The book's author, Michael Burton, earned a bachelor's in electrical engineering and a master's in computer science at UC San Diego--also in Griswold's research group. He is now director of mobile engineering at Groupon. His book includes easy-to-follow access to the latest programming techniques that take advantage of the new features of the Android operating system. Plus, two programs are provided: a simple program to get you started and an intermediate program that uses more advanced aspects of the Android platform. Learn more about Burton in this Q&A.